One of a kind sculpted woodland fairy house fairy furniture Lounger Chair with Rose Buds Moss Twigs handmade fairy sculptures by Laurie Rohner for collectors of fairy art. 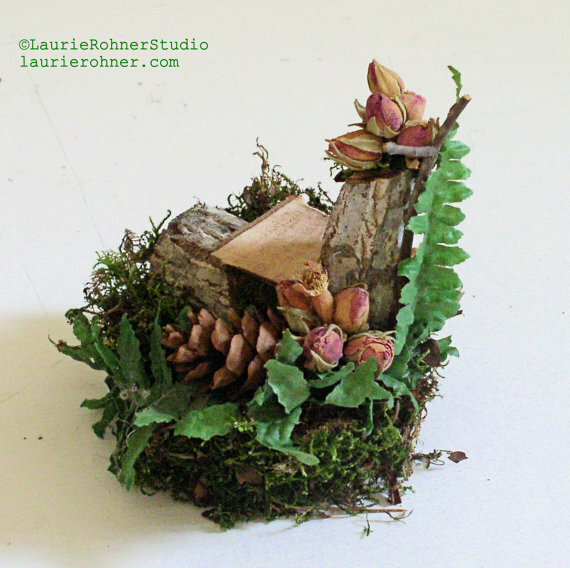 Woodland fairy house furniture for a woodland fairy princess is ready for the whimsical mystical side of you to shine. 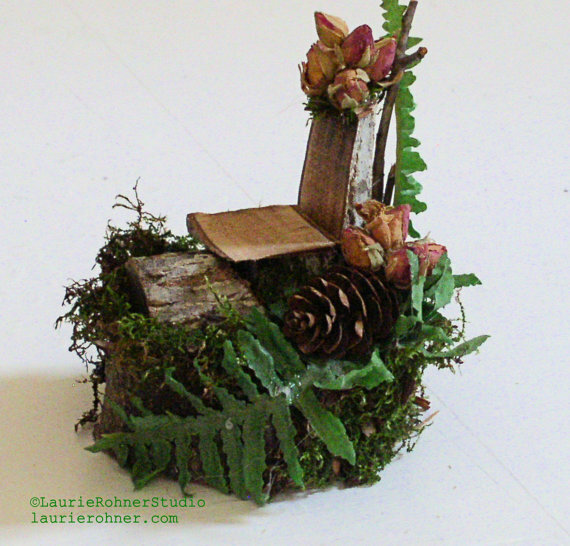 This fairy chair has a fern draped around it and rose buds are scattered all around. 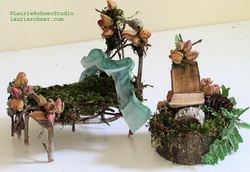 This branch fairy chair is for lounging with a comfy seat and ottoman tucked under so your lazy magical fairy can sanguinely stretch out. Many people who bought this item tuck them into plants which I think is a fabulous idea. 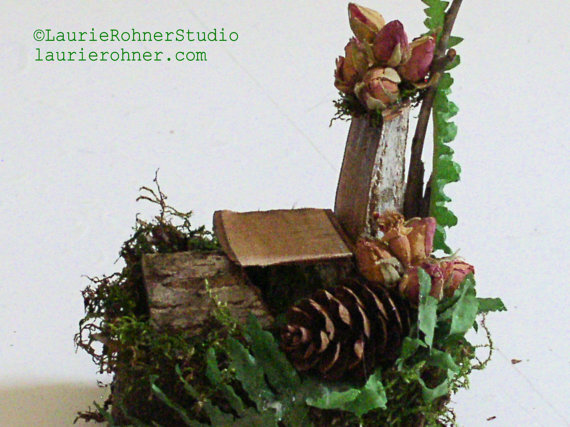 This adorable Woodland Fairy Rose Bud Chair is enchanted with fairy blessings and wishes. 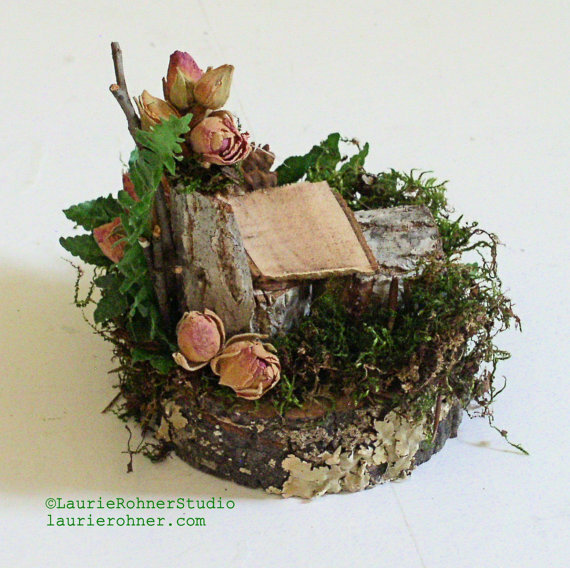 Measures 6" tall to the tip of the twigs and 3" wide.